Option of Natural or White Hat. Monitors may show Natural Hat in different shades. The natural hat is a LIGHT NATURAL. This listing is for Mrs. Hat only. No extra words. Future, extra words, etc. are not included. 2. 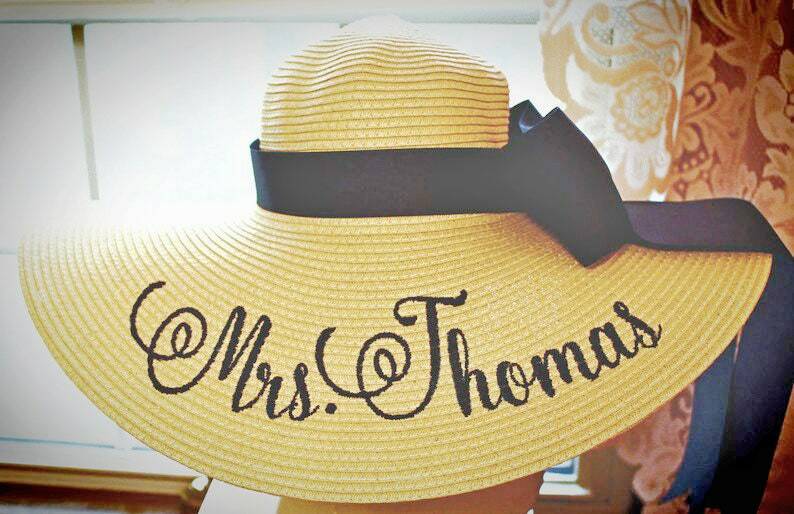 Or, monogrammed Mrs. (..). hat only with no ribbons or bows. I have different colored hats in stock so if natural is not what you want, just ask! 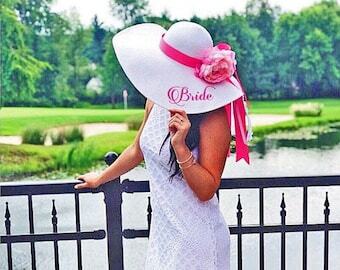 If bow option is chosen, The bows and monogram can be worn on front, side or back. Shipping by Priority mail only with confirmation :) We ship to verified addresses on file only unless other arrangements are approved prior to shipping and purchase. If shop is on vacation, emails are still answered! Monitors may distort colors slightly. Amazing! Thank you so much! Fast shipping and great customer service!